Abducted Chokkabettu youth Safwan murdered ? 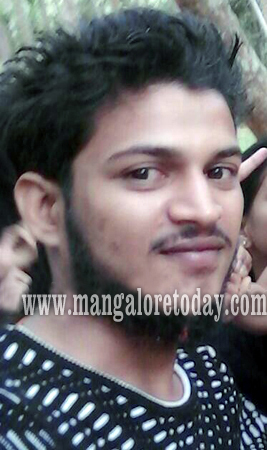 Mangaluru, Nov 27, 2017: Police have reportedly arrested two persons in connection with the case of missing of Safwan (24) of Chokkabettu in Katipalla near Suratkal. The suspicion now is that Safwan might have been killed by a gang which had abducted him. The suspects who have been arrested are Sahil and Bombay Faizal. Source say Safwan might have been murdered on the very day of his kidnap and then the body dumped in Agumbe Ghat. Safwan was abducted by five men who came by a vehicle on the evening of October 5. A few locals had witnessed this abduction had informed his father Abdul Hameed who subsequently had lodged a police complaint. Protests had also been held demanding steps to trace him even as police were clueless regarding his whereabouts. Police have identified the suspects as Safwan Hussain, Shahil from Suratkal, Samshuddin from Mukka, , Faizal alias Toppi Faizal, and Sufian from Ballari. How sad? Some acts unknowing turn tragic.